This book is the foundation work by Mr. Wilson on the topic of English Country Dance. I have downloaded it from the Library of Congress "American Memory" site, and compiled it for more convenient search, sharing and printing. This book does not describe the specific steps, but does say which steps should be used for every possible figure in the Country Dance repertoire. It is a very large file (over 30 Mb), so it may take some time to open the file. Here is the catalog record from the Library of Congress site. Originally published in 1808 and expanded in 1811 under the title An analysis of country dancing, this edition borrows extensively from earlier editions. 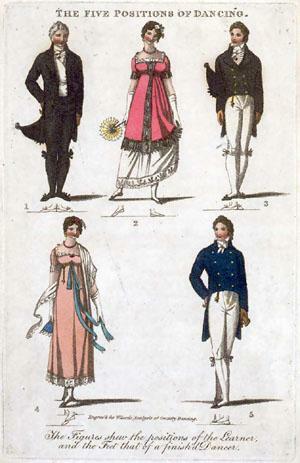 As with earlier editions, the figures for English country dances are explained through text, tables, and diagrams. Performed as a series of figures danced by a column of men facing a column of women, the English country dance was one of the most popular early nineteenth-century ballroom dances. This edition contains an extensive discussion on music with ten musical examples scored for a treble instrument. Submitted by Unregistered on Wed, 01/04/2012 - 3:08am. Gee, Thanks, Mr. Nelson! Your site is awesome!